White House Christmas Ornament is proud to offer moments of American history. These official, time-honored Christmas gift ideas are hand-decorated holiday ornaments for a Christmas display that the whole family will enjoy. Christmas tree collectables from The White House Ornament Collection make great keepsakes for friends, for family, and for that son or daughter proudly serving in the Armed Forces, in Washington, D.C. or overseas. The White House, Capitol Hill, Congressional, Supreme Court, and Mount Vernon Ornament Collections are a great way to remember loved ones during the Holidays. The front side of the Official 2018 White House Christmas Ornament features the Truman Balcony South Portico of the White House Building. The back side features the world famous "Blue Room" renovated by President Truman. The gold medallion on top features a redesign of the Presidential Seal made by our 33rd President. Beautifully crafted 24 kt. gold finished ornament features the United States Capitol Dome made from the marble removed from the east front steps in the 1995-96 renovations framed in octagonal snow flake design. The Official Ornament of the United States Senate showcases one four stain glass windows found in the U.S. Capitol building in Washington DC. The Supreme Court building is lit from within the ornament by an LED light with switch. The Unites States highest court is etched and enameled in white and black over 24 kt. gold. Our uniquely American holiday ornament features a 24 karat gold plated three dimensional bald eagle with a federal stars and stripes shield on its breast symbolizing freedom, liberty and independence. Our three dimensional 24 karat gold plated holiday ornament honors Constitution signed on September 17, 1787, by our founding fathers to establish a government framework that guaranteed certain basic rights and laws to protect the citizens of the United States of America. White House Christmas Ornament Proudly Presents the 2017 President Franklin D Roosevelt Holiday Ornament which can be physically purchased in Washington DC. Commemorate the Jan. 20, 2017. Inauguration of President Donald Trump with this limited production Christmas Medallion. This is the Official Ornament of the United States Senate. Capturing the brilliance of downtown Washington DC on a brisk winter day, this beautiful circular ornament dazzles with a bright cobalt blue background radiating out around a glistening gold and white US Capitol Dome. This intricate design is inspired by the Milton tile floors installed in the U.S. Capitol building during an extension built in the mid Nineteenth Century. This festive ornament is made of brass and finished in 24 karat gold. The 2017 US Capitol Marble and Gold Ornament is a truly unique gift created from the actual steps of the US Capitol Building after a restoration in 1995. Gold accents make this ornament a very special addition to your Christmas tree! White House Christmas Ornament is proud to present the Official 2017 Mount Vernon Christmas Ornament. 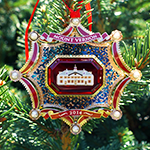 Mount Vernon's 2017 annual ornament is inspired by the twelve foot tall festive Christmas trees that grace Mount Vernon's Ford Orientation Center and the Donald W. Reynolds Museum & Education Center. This year's ornament is designed after a Vice Regent badge, created by Louis Comfort Tiffany. The holiday ornament has a reproduction of a hand painted vignette of George Washington's Mansion in gold, enamel, and seed pearls. This is the official United States Supreme Court Holiday ornament featuring a white rosette that appears on the coffered ceiling of the main corridor known as the Upper Great Hall used as the ceremonial entrance. The Official 2016 Congressional Holiday Ornament celebrates the U.S. Capitol's two most iconic features: it soaring cast iron dome based on the Pantheon in Paris and its spacious interior Rotunda. The Official Supreme Court Ornament is American crafted 24 karat three-dimensional cut-work of the Supreme Court building viewed from the corner of East Capitol and First Streets. 2015 Dove of Peace Christmas Ornament represents symbol that held a special meaning for President George Washington, who had won independence for the United States. President Washington did everything he could in the remainder of his lifetime to ensure America would endure in peace. Acclaimed Hawaiian illustrator Jing Jing Tsong was selected to create the official design of the National Cherry Blossom Ornament. 24 kt Gold gold filigree formed into the shape of a snowflake featuring a snowy Capitol scene framed by an intricately raised enameled design. The Official Ornament of the United States Senate celebrates the 50th anniversary of the lighting of the Capitol Christmas tree on the West Lawn of the Capitol. This historic collectible is inspired by America's First Lady, Martha Washington's love for garnet and pearl jewelry. 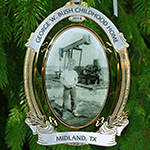 This gold cameo ornament features George Walker Bush in front of one of his dad's oil pump jacks in the 1950s. The official 2013 White House ornament celebrates and honors the twenty-eighth President of the United States Woodrow Wilson and his administration (1913-1921). The main centerpiece to the 2013 White House ornament is an American Elm tree which President Wilson planted December 18, 1913. The tree was planted in the North Lawn of the White House as a symbol of hope the country desperately needed during the Wilson administration and World War I. White House Christmas Ornament is happy to introduce our new President Abraham Lincoln ornament. Considered by many Americans to be one of their greatest presidents, Abraham Lincoln guided the nation through the Civil War. Lincoln despised war but viewed it as the only salvation of the Union. The centerpiece of the 2013 Mount Vernon ornament was taken from a lithograph titled: "The Home Of Washington, Mount Vernon, Virginia" and shows the East Front of the mansion from around 1858. The lithograph is set off with a stunning eight pointed star colored red, white and blue and finished in 24 k gold with a small red banner on the bottom of star that reads "MOUNT VERNON 2013. The official 2012 White House Ornament celebrates the life and love of modern inventions and manufactory by President William Howard Taft. The ornament shows the President and Mrs. Taft delivering Christmas presents in the first automobile used by the White House in 1909. The Official Holiday Ornament of the United States Senate honors the Senate Reception Room and Thomas Crawford's statue of Freedom. 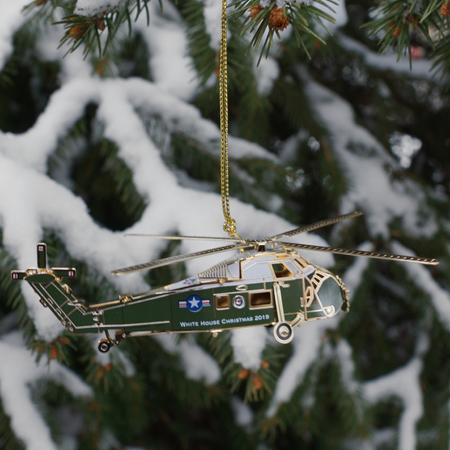 The 2012 United States Secret Service Uniformed Division Benefit Fund Marine One ornament features the Presidential Helicopter on take-off from the lawn of the White House plus the Presidential Emblem inset within the outline of the five-pointed Secret Service star. The 2012 United States Capitol ornament commemorates the 50th year of their Historical Society. The front of this ornament features an image of the Capitol Building on a snow-filled winter's day surrounded by an intricately raised snowflake frame.The back of the ornament features white and red colors throughout the snowflake design and has the words, "United States Historical Society 50th Anniversary". 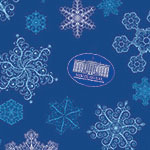 The White House Ornament Collection presents The 2011 White House South Portico Pewter Ornament. A wonderful, less expensive alternative to our more costly ornaments we are pleased to offer our line of fine pewter ornaments. The detail on these ornaments is incredible. The 2011 White House Christmas ornament honors the administration of Theodore Roosevelt, the twenty-sixth President of the United States. The 2011 ornament reflects the excitement that President Roosevelt, his wife Edith, and their lively young family brought to life at the White House. 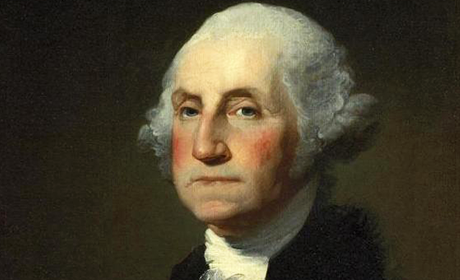 George Washington is most popularly known as the "Father of our Country" due to the fact he was the first elected Commander in Chief of the newly founded United States of America. The North Portico of the White House faces Pennsylvania Avenue and hence is the official address of the White House: 1600 Pennsylvania Avenue. The North Portico is often referred to as "the President's entrance" to the White House. The White House Ornament Collection presents The 2009 White House Grover Cleveland Christmas Ornament. This beautiful American-made ornaments features a view of the South lawn and fa�ade of The White House on a crispy winter evening.All ornaments are insured and delivered to your home by the USP. The 2009 holiday ornament captures a quiet afternoon by the new public visitor's entrance located on the east side of the US Capitol building. This American-made ornament features a photo of President Barack H. Obama, on the front steps of the U.S. Capitol with his wife Michelle by his side, being sworn in by Chief Justice John Roberts on January 20, 2009. Receive a discount when you purchase these two beautiful, official White House ornaments together. The 2009 White House Ornament Gift Set includes the 2009 White House Grover Cleveland Ornament along with last year's 2008 White House Benjamin Harrison Ornament. Receive a discount when you purchase these two beautiful, official White House ornaments together. The 2008 White House Ornament Gift Set includes the 2008 White House Benjamin Harrison Ornament and the 2007 White House Grover Cleveland Ornament. Miss last year's ornament? You can now purchase the 2006 White House Chester A Arthur ornament along with the new 2007 White House Grover Cleveland ornament at a discount. Save over 10% when you purchase these ornaments together. The 2006 White House Christmas Ornament honors the Administration of the 21st President of the United States Chester A. Arthur (1881-1885). 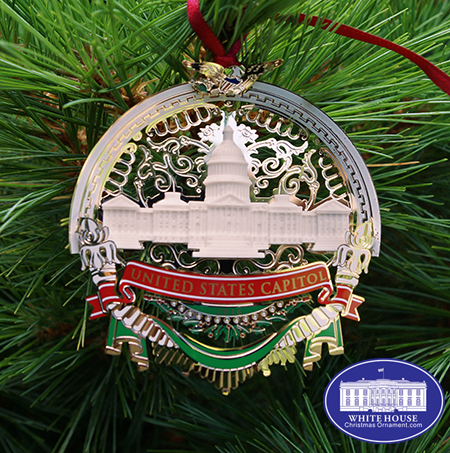 This ornament is a gold-plated brass with a round ceramic stone that features the South Front of the White House. Inspired by President Hayes love to take his family and guest on sleigh rides around the hill Washington DC. This hand-painted oval niche keepsake is handsomely decorated by a 24-carat, gold-finished brass frame with enameled colors. This unique collectible is made of the historic building materials that have adorned the Capitol and its grounds. The marble that creates the oval frame and center Capitol was removed during the renovations of the East Front of the Capitol. Inspired by a vision of a child�s joy at Christmas, this hand-painted porcelain keepsake is handsomely decorated by a 24-carat, gold-finished brass wreath with enameled colors. The 2003 Mount Vernon ornament celebrates the 150th anniversary of the founding of the Mount Vernon Ladies' Association. The Roosevelt 1902 Ornament The crystal-like, acrylic core of the 2002 ornament recalls the sparkling Bohemian glass of the elegant East Room chandeliers. The brass metal decorative frame includes a holiday ribbon, acanthus leaves from the East Room's Louis XVI style wall panels. The images depicted on this unique ornament are reproductions of the architectural drawings by Thomas U. Walter (1807-1887). The 2001 White House Andrew Johnson Christmas Ornament captures the warmth felt by the Johnson family during President Johnson�s family carriage rides into Washington's lush countryside. The 2001 U.S. Marble Capitol Ornament is a sculpted relief etched onto original, Georgia White Marble that came from the Capitol building. This attractive 1990-1993 Set of Four Ornaments Collector's Edition captures a slice of American history, including: Martin Van Buren (1837-1841), William Henry Harrison (1841), The 200th Anniversary of the Cornerstone, and John Tyler (1841-45). Supplies are limited, so order today. This Official holiday ornament of the United States Senate features 1790 hand-colored engraving by Amos Doolittle, depicting Washington's April 30, 1789 inauguration in a 24 karat gold plated frame with the words "FEDERAL HALL" on the top and "NEW YORK" on the bottom.